I think it will be very easy to follow this tutorial on how to use the script. Users password in order to set the owner and group of the created files (in my case on OS X, owner will be set to ‘danijelvrgoc’ and group to ‘staff’). 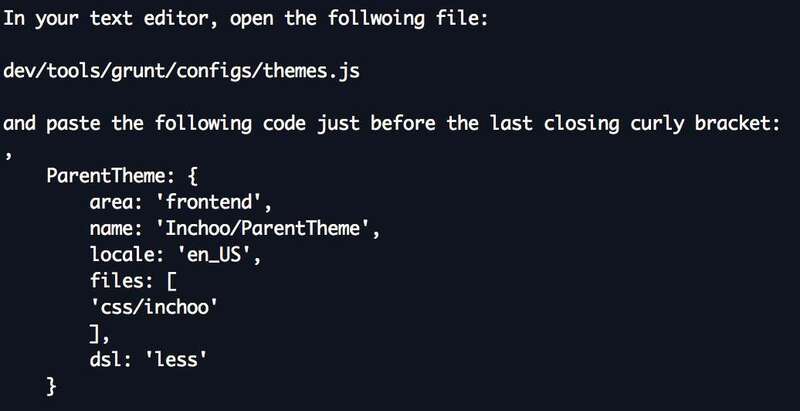 At this moment, open Admin Dashboard and make sure your theme is visible under Content -> Themes. In order to create a child theme, user has to enter valid MySql credentials in order for the script to read all available themes. User will be prompted to enter number of the theme that will become parent theme to your theme. In my case, I entered number 24, after which the process of creating a theme is same as creating a new theme. 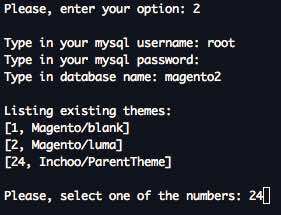 Just like when creating a child theme, user has to enter valid MySql credentials, script will connect to database and list all of the registered themes. 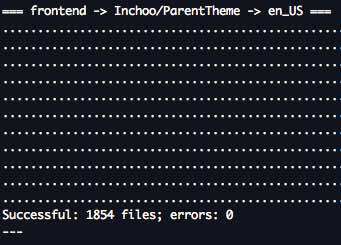 It is possible to delete only child themes, otherwise you will get an error. 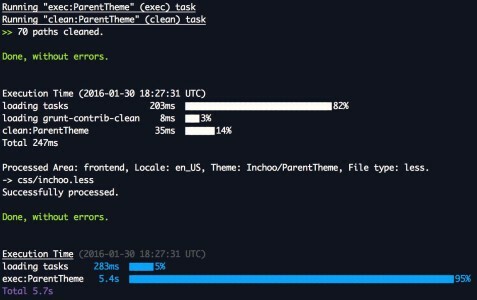 That’s it, I hope this article helped you understand which steps you have to make to make your theme ready for deployment and that you will start using this script on your very next project. If you need any extra help, don’t hesitate to drop us a comment or send an inquiry. We would be happy to offer you a detailed custom report based on our technical audit! Hey Danijel! Great tool thank you for sharing, I’ve tested it right now and it works perfectly. Congrats for your first post and for this great tool! Thanks for this tool and documentation! I am have trouble deploying my theme. setup:static-content:deploy finishes before it get to my theme most times and when it does get there, it quite with this message…. further; Can you tell me if i need to setup:static-content:deploy everytime I want to see changes on the frontend. I was able to recreate your error message, all you need to do is login to Magento Admin and make sure your theme is visible in Content -> Themes. By doing this, Magento will insert row in table “theme” and Grunt will now be able to deploy your theme. 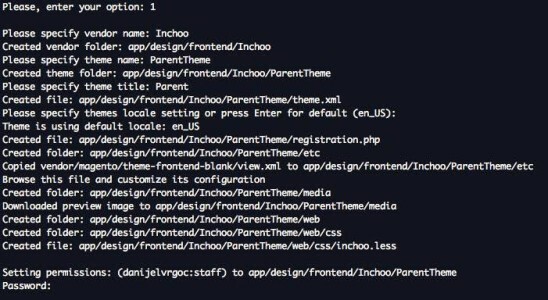 The deployment of static files in your theme should be done only if your Magento 2 installation has “Production” mode enabled, that is, only when you have pushed your theme modifications onto live site. Have a look at the official documentation about static view files, you can find a lot of useful information about this topic. You just gave me an idea. 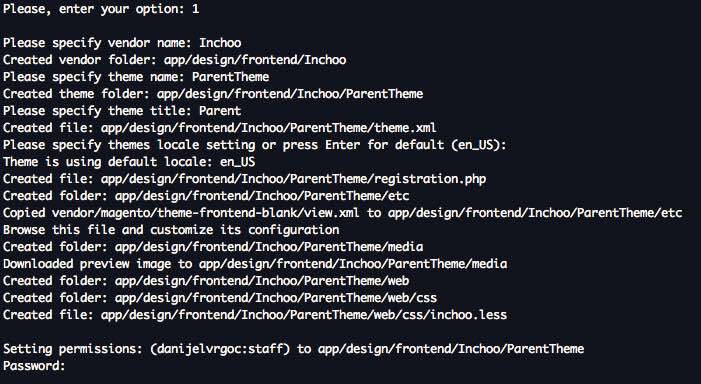 🙂 I’ll make something similar for Ionic Framework so when creating a new project I do not have to repeat the whole process of adding platforms (Android, iOS), extensions (ngCordova), plugins, etc.